Powerhouse Arts Centre from 9am-4pm, is on the Aus7 website. 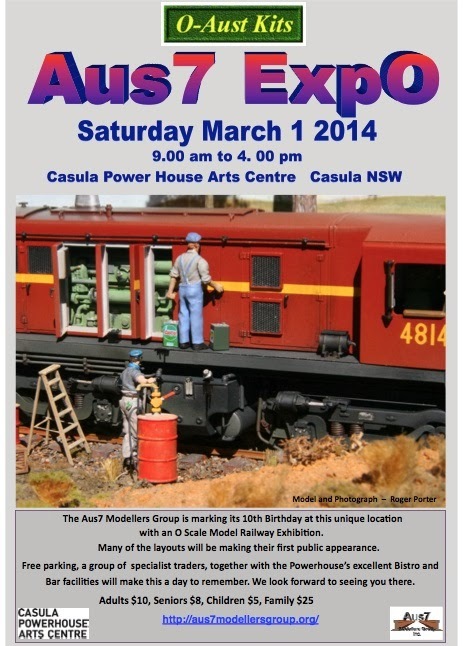 modellers, as well as specialist O gauge traders. have a display of our models, as well as Hudswell Clarkes, Fowlers and accessories for sale. We will also have a brilliant DCC and sound-fitted Fowler from EDM Models in the UK. Come and say 'Hi', and hear this state-of-the-art model do its thing.